Children of Playgroup at Witty Kids went on a field trip to Mahindra car showroom on Thursday, 8th December 2016. The trip was organised as a part of the curriculum to make their learning easy and enjoyable. It was a very informative field trip. 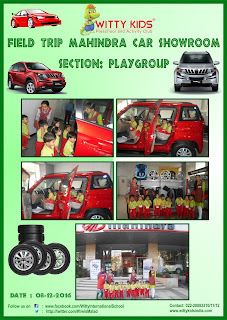 Children were explained about the various cars. 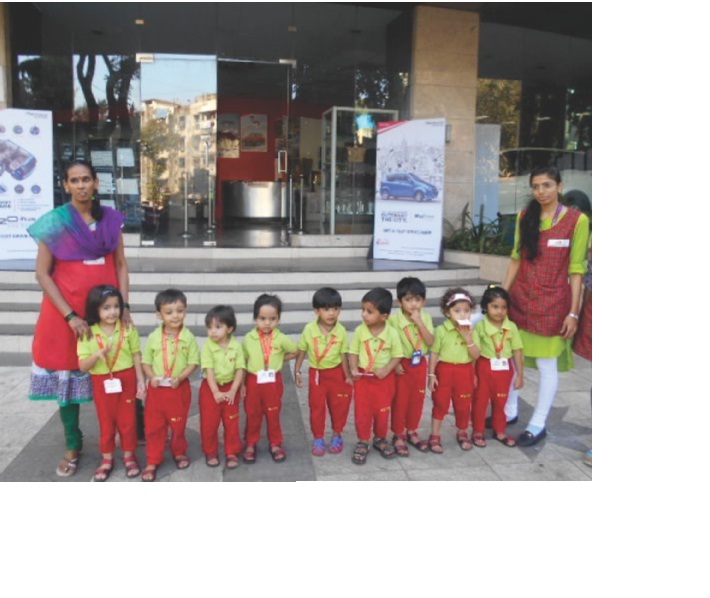 It was a completely hands on experience and an extension to classroom learning.